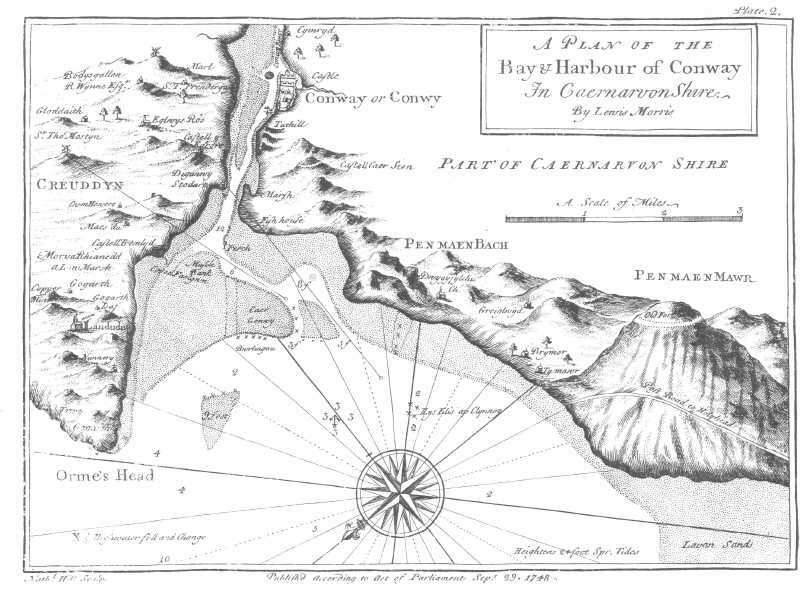 Lewis Morris published his Plans of Harbours, Bays and Roads in St. George's Channel etc in 1748. His plan of the approaches to Conwy shows the line of Lord Bulkeley's road over the mountain. Click here to see full scale image.